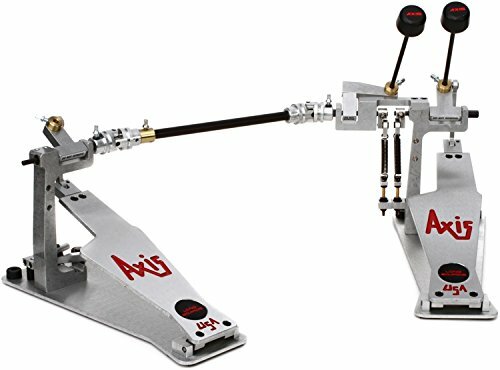 An often overlooked piece of hardware for drums are pedals – and yet without having the best double bass drum pedals you can find, you can unknowingly hinder your sound. But how do you separate the okay from the great? Not to worry, we’ve done it for you. 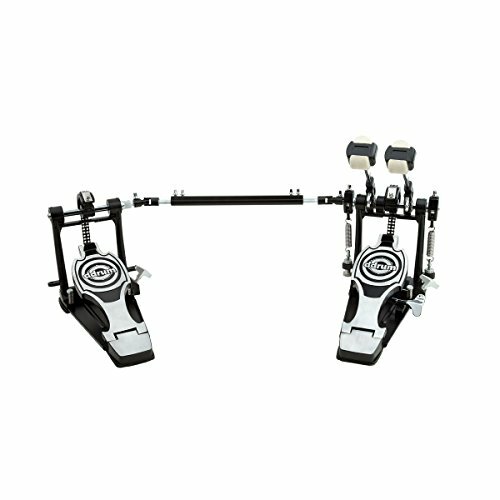 Read on to find out our pick of the best double bass drum pedals around. 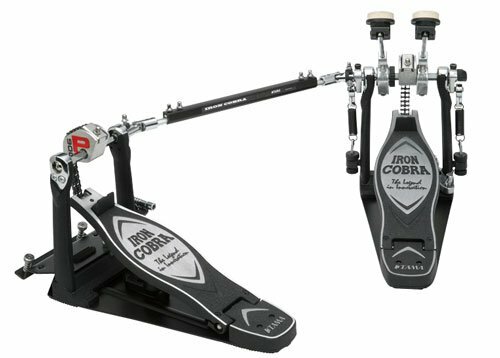 So What Are The Best Double Bass Drum Pedals? The mechanism of the pedal drive can determine the smoothness of the pedal. Chain drives are common and popular, but one downside is that they can overshoot on the up-swing, causing you to lose control momentarily. You also can’t see the effects of wear and tear over time, so if your chain drive snaps it will be at an unexpected moment. Belt drives are another option, and they are increasingly secure. They offer a more ‘solid’ connection to the beaters. You can also see any damage accumulating on the belt, allowing you to swap it out before it’s too late. Direct drives offer the most control over the pedal, which is key when speed and precision are needed at the same time. However, you may find that depending on your style of playing (heel up v. heel down) it can actually be more difficult when using a direct drive pedal. Direct drives tend to be preferred by heel down players. The cam, which attaches the beater and the drive together, comes in two basic forms: Linear and Offset. Linear cams give you the same angle or radius of movement throughout the entire movement. Offset pedals will increase the speed and strength of the pedal as it gets closer to being fully depressed. Only you will know which of these is right for you! 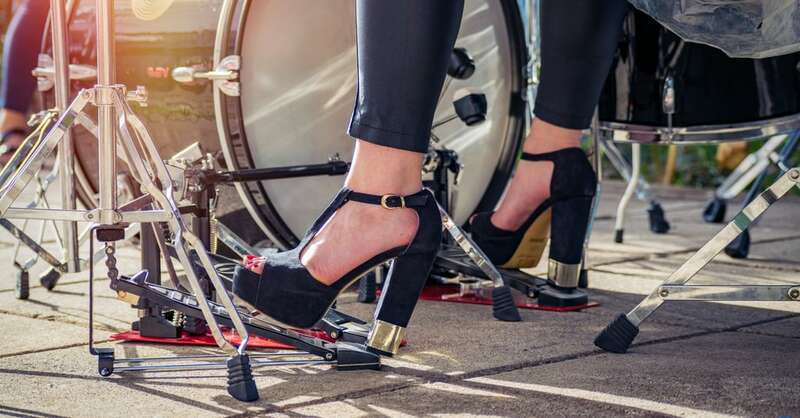 With a double bass pedal, the spring tension needs to be even for both pedals, to ensure you don’t end up working one foot harder than the other (as this can make it difficult to keep time). Check that the pedal you choose can be adjusted, ideally with a standard drum key. A very reliable pedal, and although not as expensive as boutique pedals it can easily cost more than the entirety of a 5-piece entry level drum set. It uses a single chain drive, and you can adjust the spring tension and the beaters, as well as change the weights. You really can set it up according to your preferences. There’s a cool ‘cobra coil’ which makes the playing feel loads easier and more natural, and this pedal also boasts the benefit of multiple beaters to choose from. 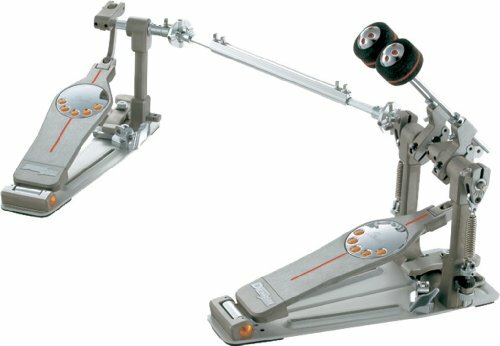 A highly regarded double bass pedal, partly due to its ease of playability and multiple adjustments, partly because of its strong, aluminum build, and partly due to the silence and precision offered with its ‘NiNja’ bearings. This sturdy addition to your kit will last, but you may need to replace the beaters after a while of heavy playing! 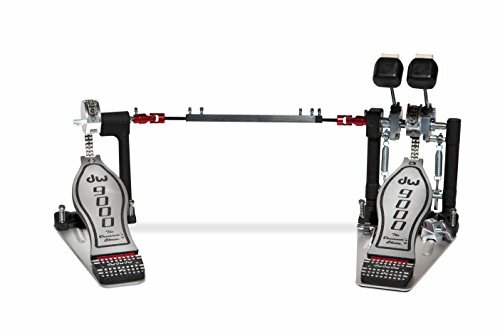 DW’s most famed double bass pedal. This pedal’s equipped with a large number of patented components to deliver a unique pedal that’s easy to customize for the best fit and feel. It’s durable, responsive, and the price tag is a little less scary than the Pearl pedal. Extremely durable, able to withstand long-term use. Huge range of adjustments allowing you to get the perfect set up. Available in a lefty version. The beaters can become unaligned. The price is a little steep but is a fair reflection of the extremely high quality. The pedal can disconnect from the drum hoop, but this is easily solved with proper use of the angle adjustment setting or gratuitous use of duct tape. 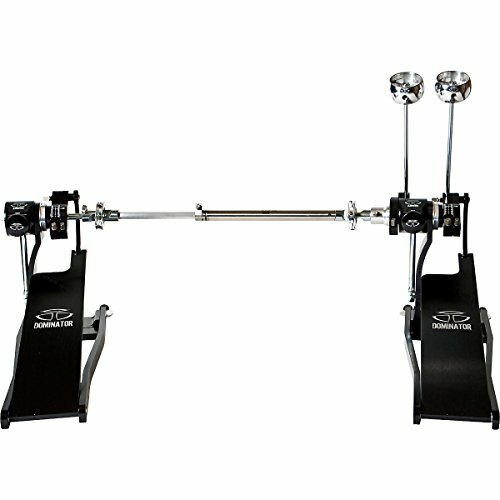 The result of combining aerospace engineering materials and designs with a drum pedal, the Trick Pro 1-V is among the best double bass drum pedals. Exceptionally smooth, even compared to the DW9000 thanks to the extremely precise designs. Can be separated into two single pedals. Multiple options for adjustments, which are easy to do without needing to bust out the toolkit. One of, if not the most expensive drum pedals on the market. The case will need to be purchased separately (and there is no way you would want to risk any damage to these pedals, so getting a case is an absolute must). The design causes the beaters to be asymmetrically aligned around the kick center, and on a 20” the difference becomes more pronounced. If you’ve gotten excited about the sound of the Trick Pro 1-V but then realized it was too much money, the Dominator is the next best thing and is much more affordable. 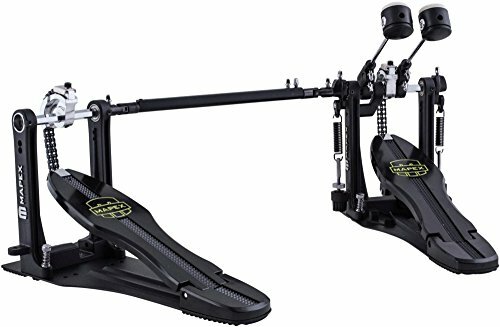 The obvious pride they take in their name shows itself in this budget-friendly version of a ‘Trick’ double bass pedal. The bearings are of the same standard as the Pro 1-V, giving very smooth action. Beaters can be adjusted vertically and the cams can be angled as required. Much lighter than the Pro 1-V. The pedal is liable to slip as the velcro is not as effective as a spike anchor. Only available in right-foot and longboard version. The spring is more exposed and of lighter construction compared to the Pro 1-V, which also makes it less durable. The Mapex P800TW is responsive, controllable and smooth. Its torque-free spring system is great for speedy playing and comes with a variety of weights to choose from and try out. It’s not as easy to adjust as some other pedals: you’ll need your drum key for this one, but the option to adjust is there, so you can get this pedal suited to your preferences without much difficulty. Torque-free spring system, for ultimate speed. Interchangeable weights, so you can choose the right heaviness for you and your feet. Not as easy to adjust as some other pedals. Less durable than some other pedals. The ddrum pedal is a budget-friendly choice which won’t disappoint. It is highly adjustable – though adjustments may take some time with this model(!) – and it’s sturdy and smooth. This pedal makes it easy to play fast, and you needn’t worry about making any excess noise if you’re recording – its chain is lined with felt to make this pedal pretty much silent. The chain is lined with felt to eliminate unwanted noise. Takes a while to set up as you like it. Doesn’t come with a manual. Less resistant to wear and tear than some other pedals. The Axis Longboards is a pedal of superior quality. If you have big feet, it’s also the one for you – as the foot pedal is about 2 inches longer than usual, making it much easier to play heel to toe. It feels natural, is easy to adjust and to use, and is an undoubtedly professional product. Made from extremely high-quality aluminum and steel. Longer than average foot pedal – making it easier to play with big feet. It will hurt your wallet. The sensitivity of this pedal may take some getting used to. 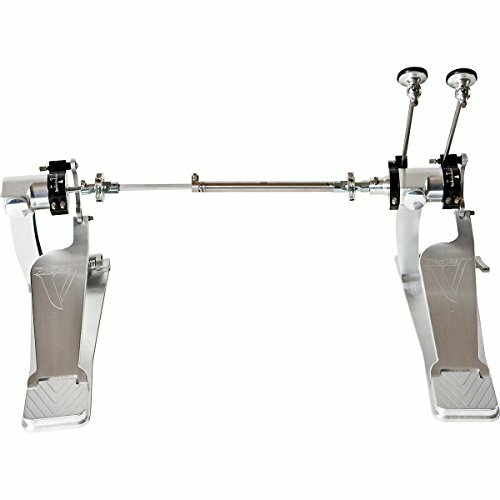 Without a doubt, the best double bass drum pedal is the Trick Pro 1-V. It is of exceptionally high quality, but sadly such a standard comes at an exclusive price. It is for this reason that we’ve chosen the Trick Dominator is our favorite. It’s not far off the Pro 1-V in terms of function, it’s designed by the same people, and the price is much lower! Sure, if you can afford the Pro 1-V then it’s no issue, but the Dominator for us really does dominate the list in terms of affordability, adjustability and – most importantly – playability. All of the pedals on this list are real contenders. The Tama Iron Cobra is spectacularly stylish, the Pearl is exceptionally sturdy, and the DW is remarkably responsive. The Mapex is great for speed, the ddrum model is budget friendly, and the Axis is the choice for those with larger-than-average feet! Whichever drum pedal suits you the best, we know you’ll have a blast with it.